Our company “M&L Cigars Tamboril” manufactures and sells cigars and is based in the Dominican republic. We import handmade cigars directly from our factory and our manufactures to the Czech republic. Our aim is to ensure a high level of services . “M&L Cigars Tamboril” are sold exclusively in France, Spain and truth our webside. Our cigar are also smoked by the president of the Dominican republic. Imported Cigars “M&L Cigars Tamboril” are available throught the Czech republic website. Cigars Don Rogue, Habano Nuňez , Porto Riko, Don Patico, Diablo, Matador, Gitanos a Mini cigarillo can be orderd here. Why cigars "M&L Cigars Tamboril"
Rolls of tabacco made only by hand from natural tobacco. Protects the surface of the cigars wrapper, which protects them from drying out. 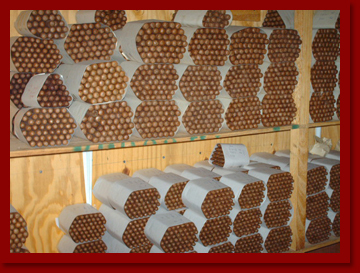 Cigars stored at a temperature of 18 - 19 °C at a humidity of 70 % to 75 % (preferably in a humidor).